BOMA San Francisco’s Annual Codes Seminar will feature two focused presentations, and an advocacy update from Manuel Fishman with Buchalter, on important topics for all BOMA members: owners, institutional investors, asset and property managers, engineering staff, architects and code development consultants. 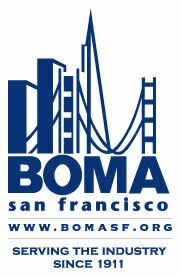 It’s BOMA San Francisco’s most important regulatory update of the year, so don’t miss out! The first presentation will provide the details of a recent study on seismic effects on new and existing buildings: The Tall Buildings Safety Strategy. The 16 public policy recommendations of the Strategy will be reviewed, which stem from a study of 156 tall buildings in San Francisco. The Strategy seeks to improve the City’s preparedness and ability to recover from a major earthquake. Foundation design and geotechnical considerations including building response to extreme earthquake ground motions. Buildings constructed with the welded steel moment frame method. Amending the San Francisco existing building code triggers for alteration and acquisition projects. Update and amend the San Francisco existing building code triggers for repair projects. Recommending minimum levels of earthquake insurance. Review requirements for post-earthquake fire and evacuation systems. We will also hear from experts who can detail the changes in BOMA International’s 2017 Standard Methods of Measurement. The office standard has been revised to reflect the changing needs of the commercial real estate market. The latest standard includes many new enhancements and clarifications to address evolving building designs and tenant amenities.